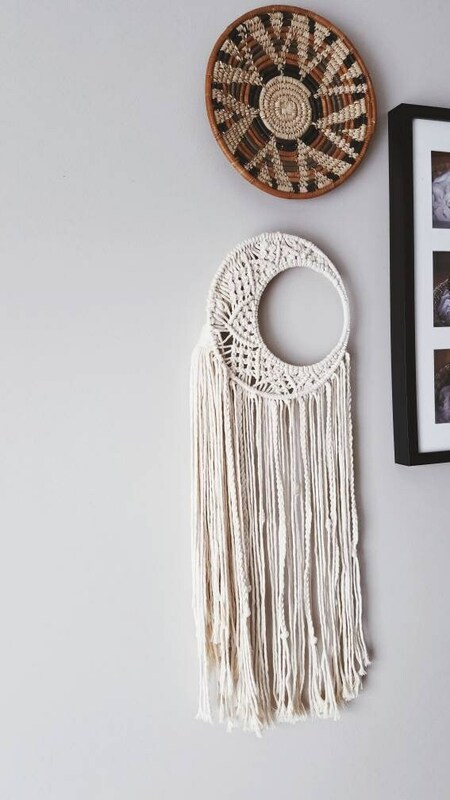 Macrame moon wall hanging. 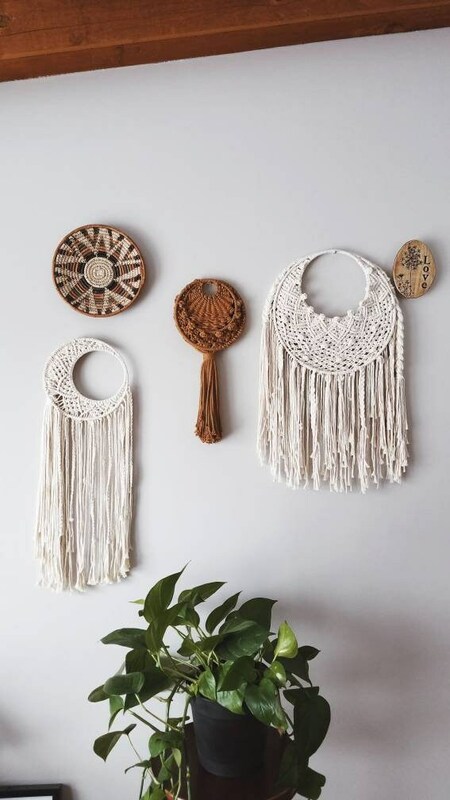 Made from 100% cotton in a natural, off-white shade. 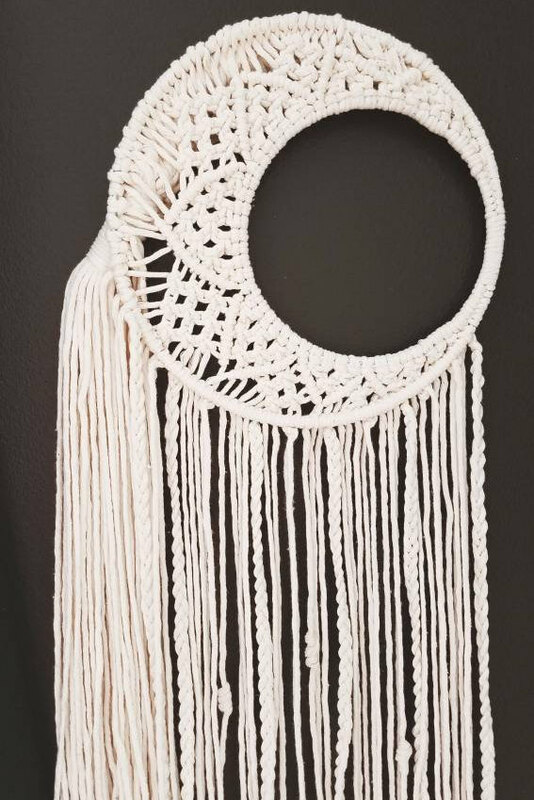 Measures approx 27 inches long and 10 inches wide.